One wouldn't normally expect to see an Arctic cetacean in Britain's main river, but a beluga whale has been reportedly feeding around its barges for several hours on Monday. The whale appears to still be in the same location it has been sighted by consultant ecologist and ornithologist Dave Andrews, who spotted the animal off the Coalhouse Fort, in the eastern English county of Essex. Mr. Andrews couldn't hide his surprise when he posted a video on Twitter, reporting the sighting. The ecologist also shared the exact location of the whale. Another video shared by the researcher shoes the beluga appearing on the river surface and diving back into the water. Mr. Andrews' caption to the footage, informed that the whale hasn't moved more than 200m in either direction. Helicopter hovering over the river can be heard in the most recent video of the whale's adventures in the Thames, shared by the scientist. Marine life rescuers issued a warning to the public, urging everyone to keep their distance from the creature for its own safety. 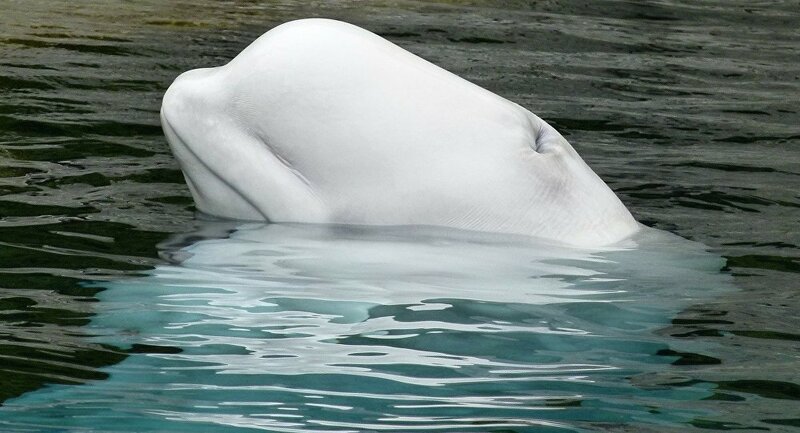 It is estimated that there are about 40,000 —80,000 beluga whales left in the world.